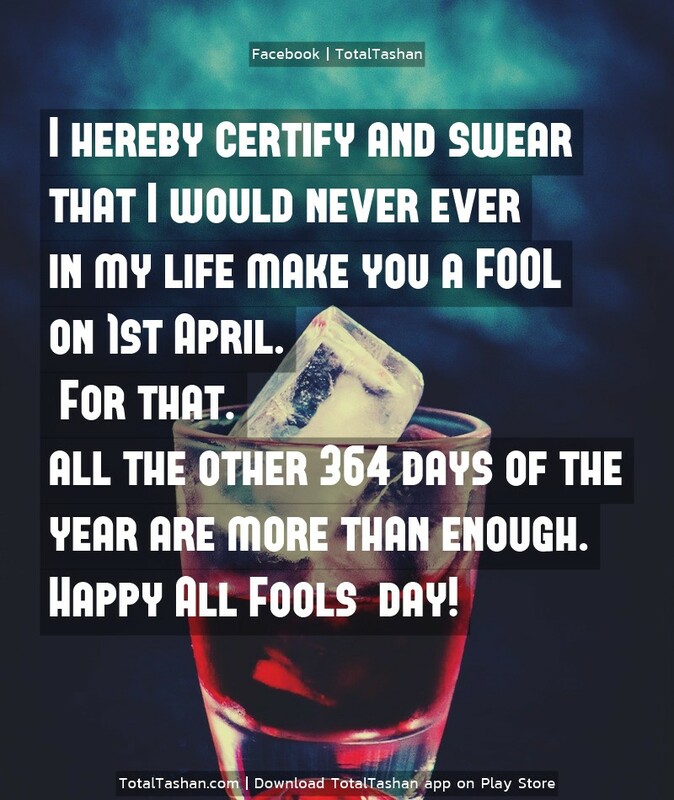 April Fool is the day upon which we are reminded of what we are on the other 364 days! 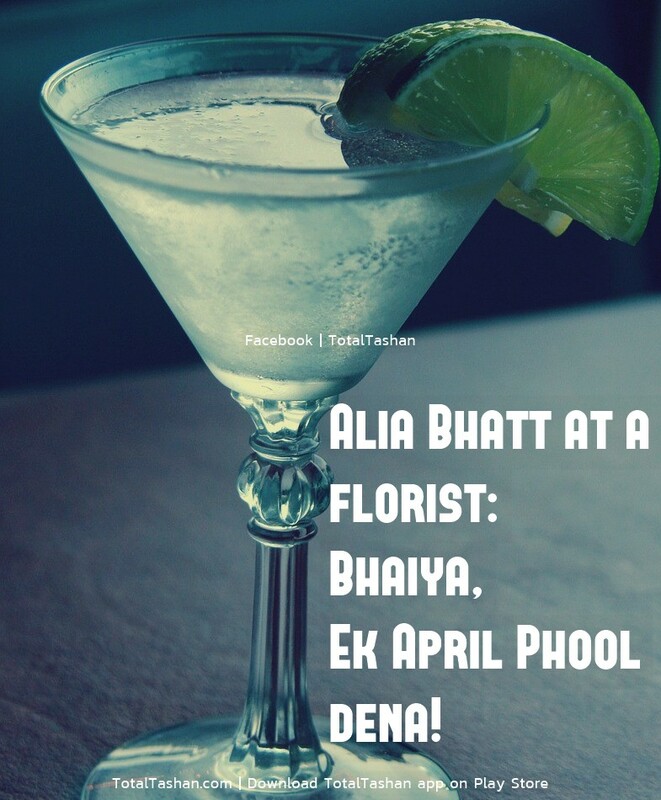 Alia Bhatt at a florist: Bhaiya, Ek April Phool dena! all the other 364 days of the year are more than enough. 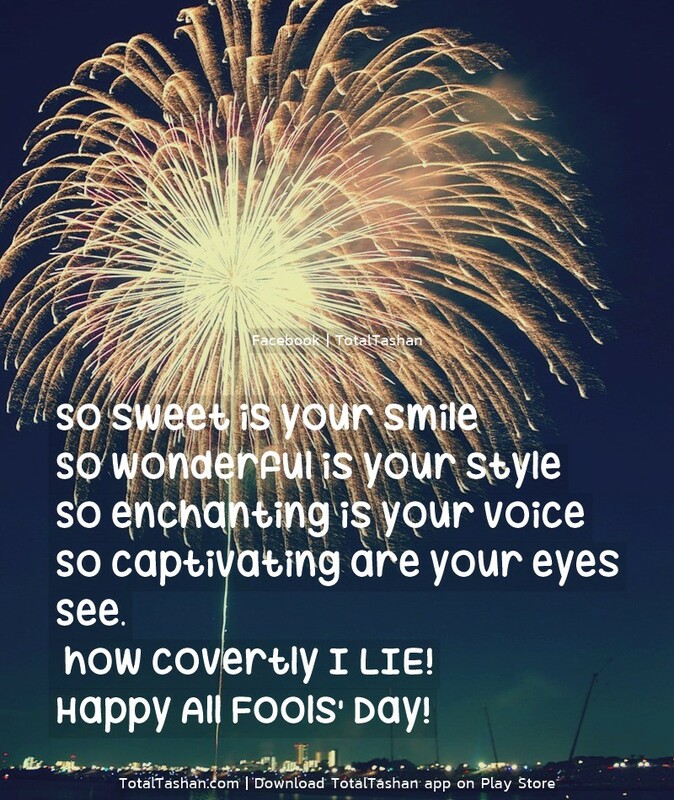 Happy All Fools' day! 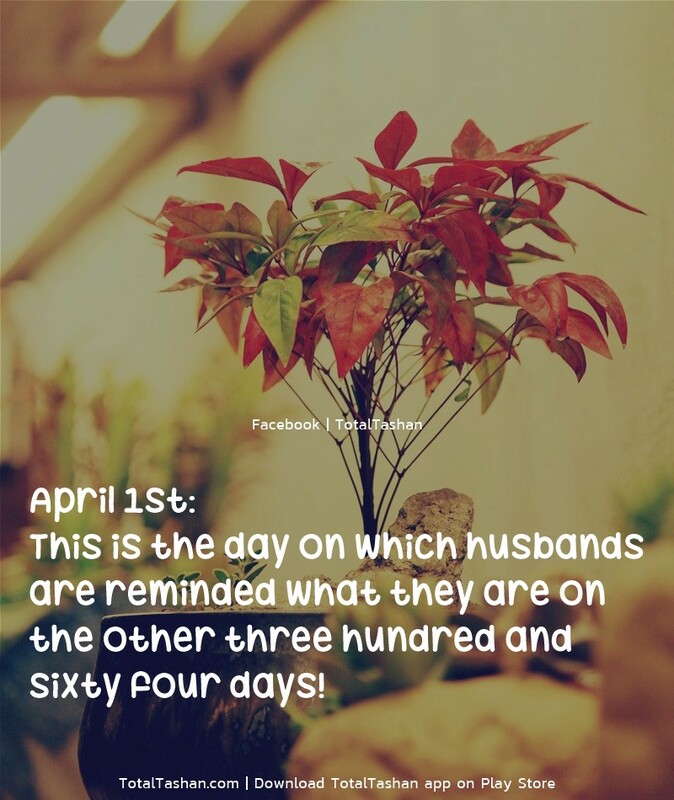 This is the day on which husbands are reminded what they are on the other three hundred and sixty four days! 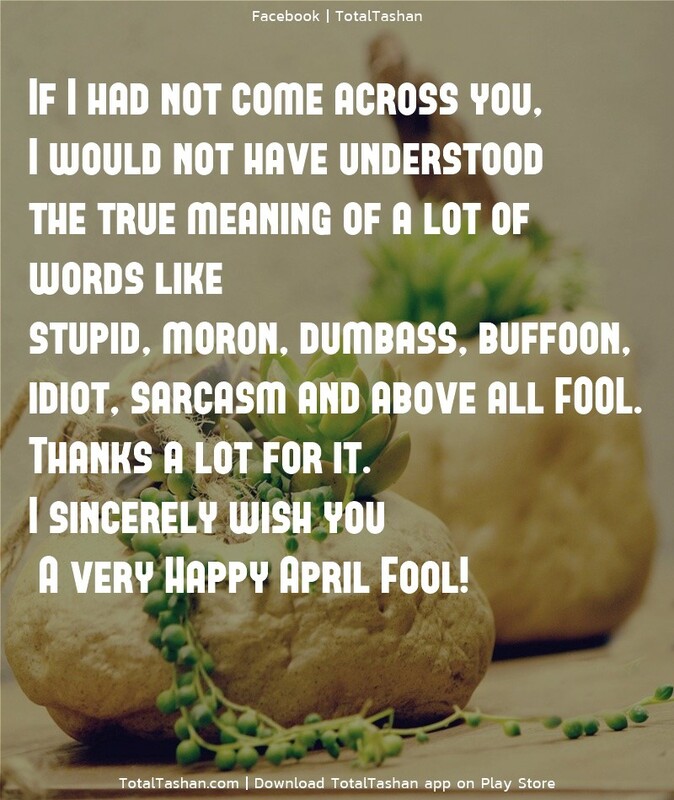 stupid, moron, dumbass, buffoon, idiot, sarcasm; and above all FOOL. 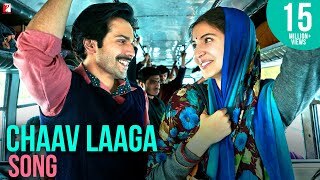 Thanks a lot for it. 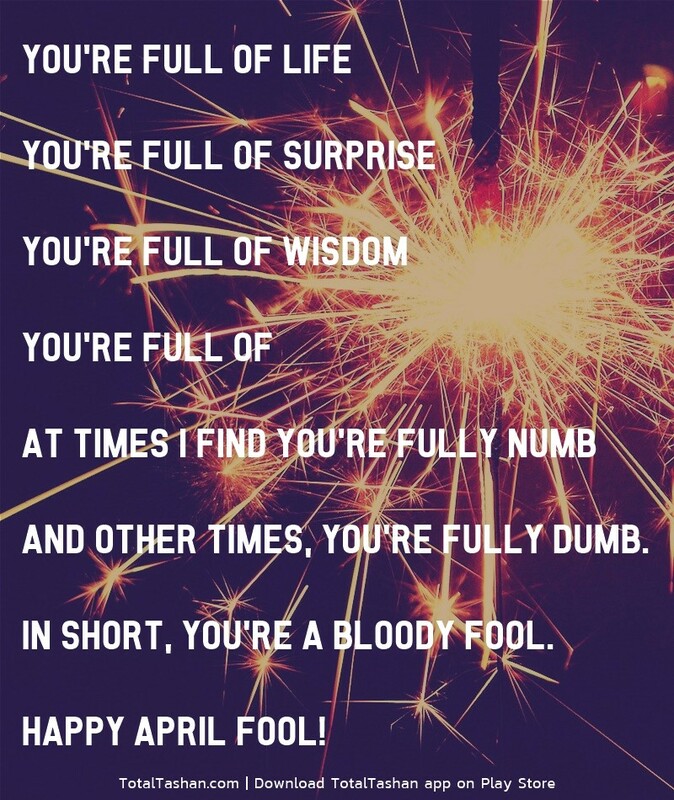 I sincerely wish you a very Happy April Fool! 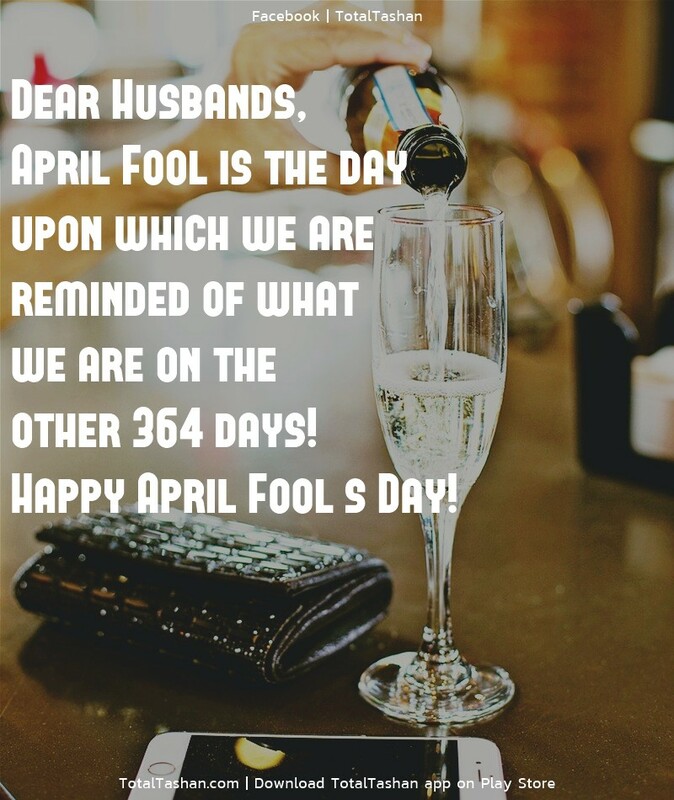 And other times, you're fully dumb. In short, you're a bloody fool. 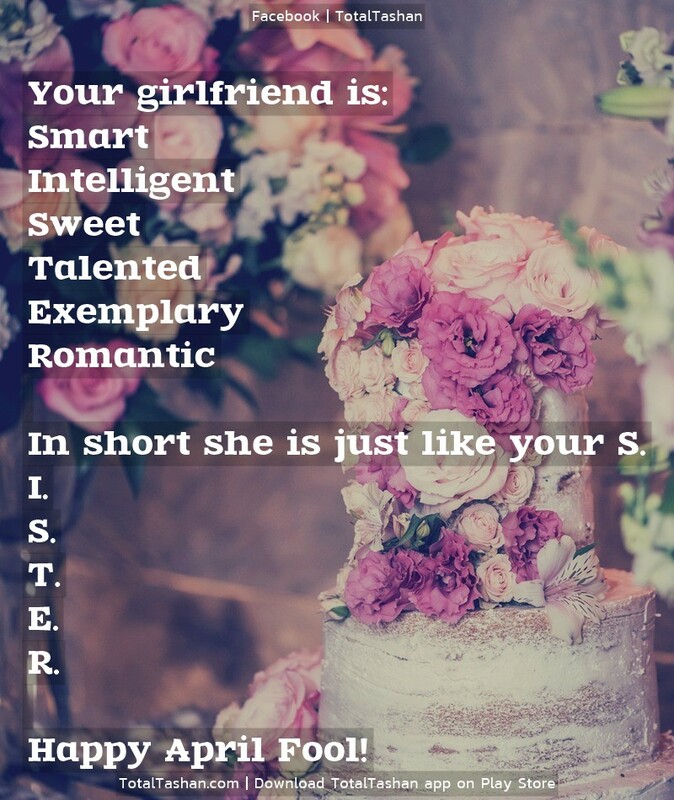 In short she is just like your S.I.S.T.E.R. 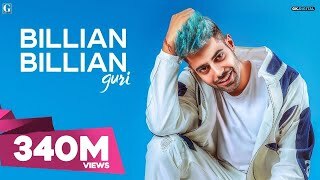 "Damn I am really so cute". But don't make this a habit. 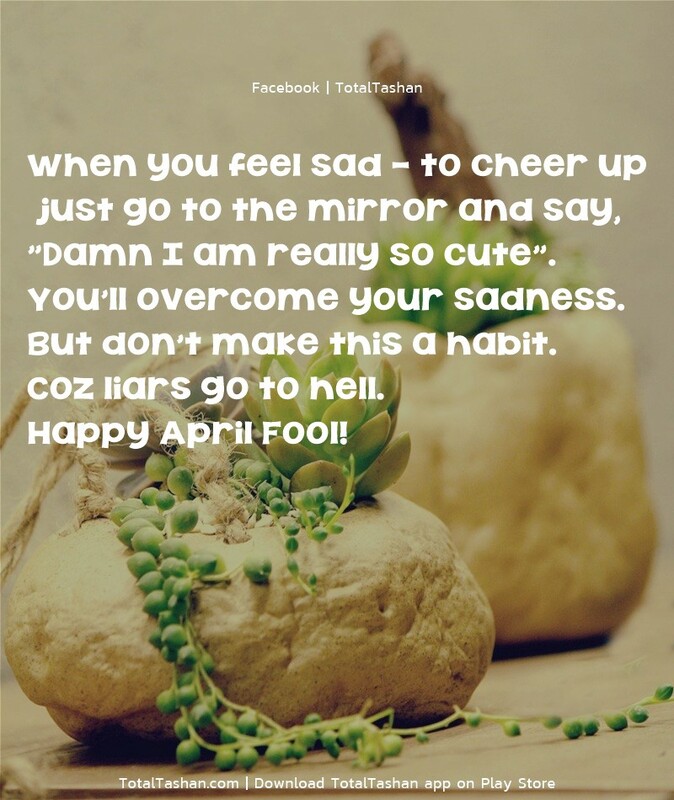 Coz liars go to hell. See... how covertly I LIE! 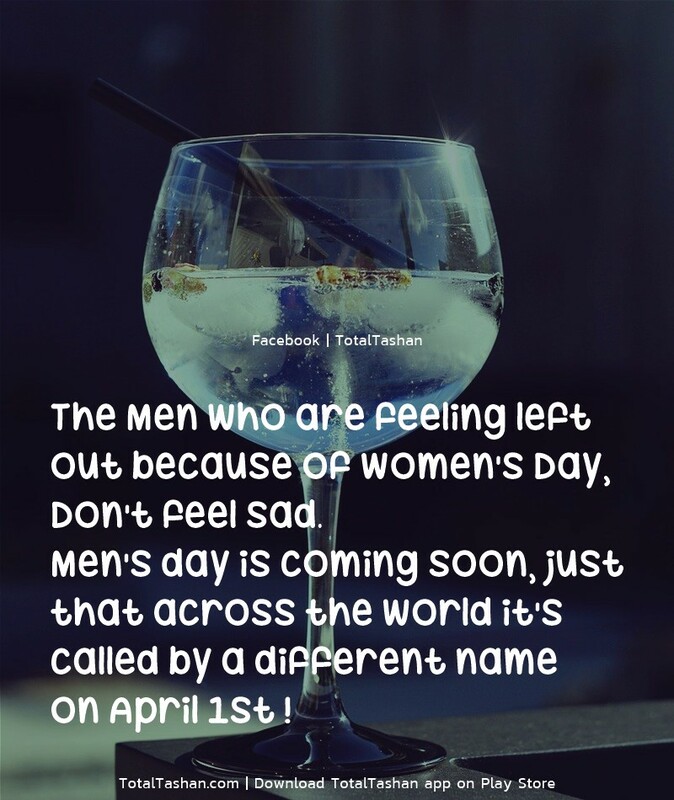 Don't feel sad... Men's day is coming soon, just that across the world it's called by a different name on April 1st ! 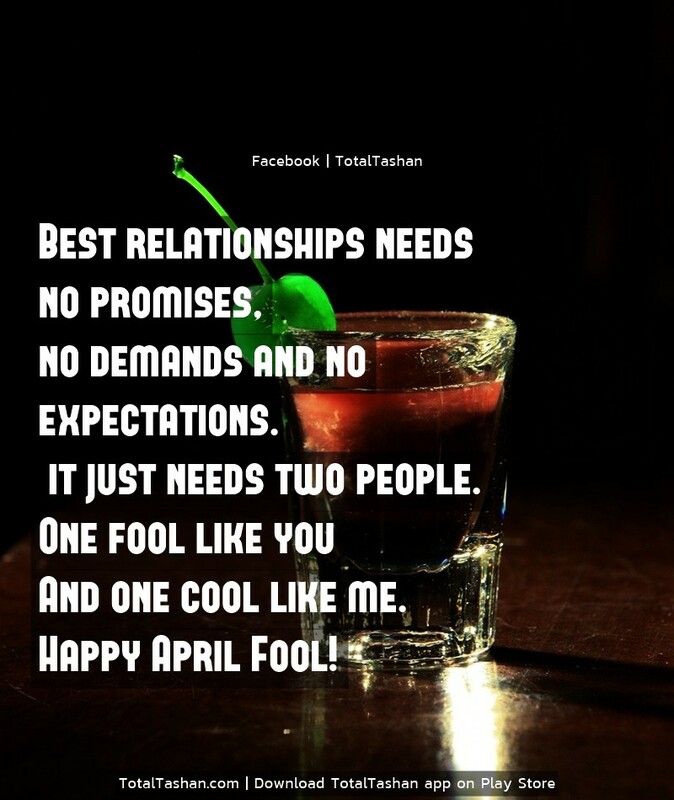 Best relationships needs no promises, no demands and no expectations... it just needs two people. And one cool like me. 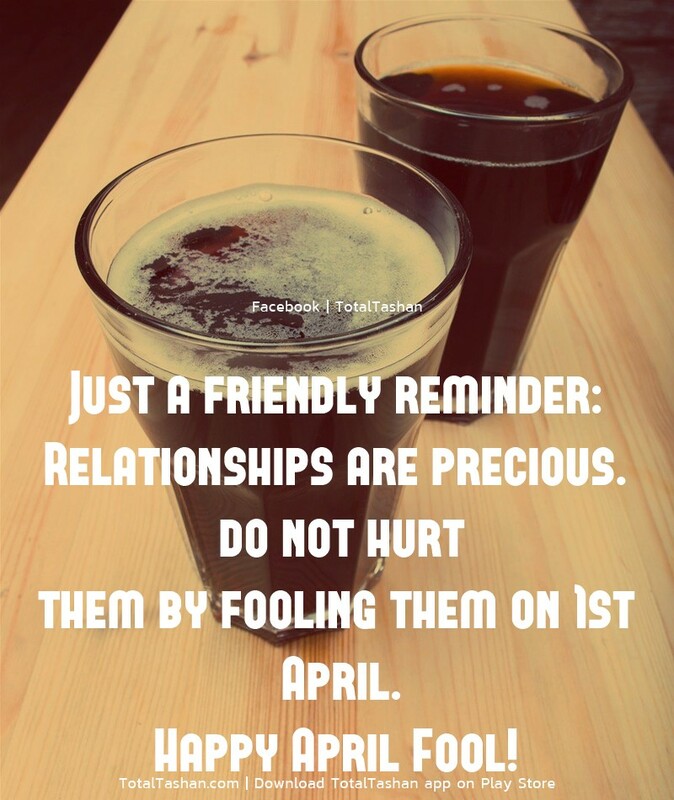 Relationships are precious... do not hurt them by fooling them on 1st April.